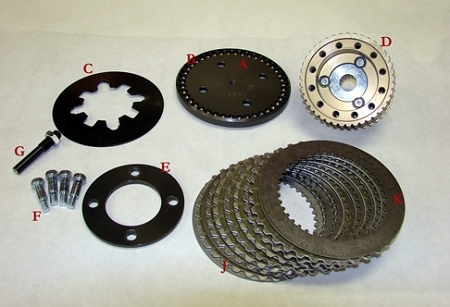 Put some balls in your stock clutch with BDL’s Competitor Clutch Kit (part # CC-120-BB). The CC-120-BB fits right into your stock Harley OEM basket on 1990-1997 model big twins. 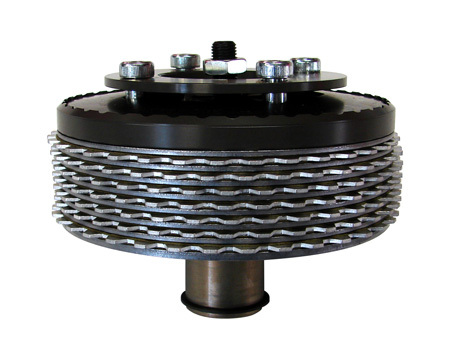 This patented Ball Bearing Lockup Clutch comes with BDL’s Ball Bearing Pressure Plate and Kevlar clutch pack. It will handle all stock applications. For those that have a little bit more “get up and go” we have a set of carbide ball bearings (part # CBB-8516) and a slightly stiffer diaphragm spring (part # DES-200), Just replace (7) of the steel ball bearings “in an even intermittent pattern in the 42 ball bearing pattern” with the carbide balls and change the diaphragm spring and your ready to go! Compare the friction plate footprint difference, BDL gives you 60% more friction surface area.